Brewed since at least 1820, stout is Ireland’s gift to beer lovers. 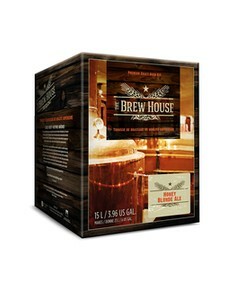 Brew House Stout is dark and rich, with a bold roasted flavor, hint of chocolate, and espresso-like finish. So smooth, you’ll enjoy having more than one. Recommended serving temperature is 54 °F (12 °C).